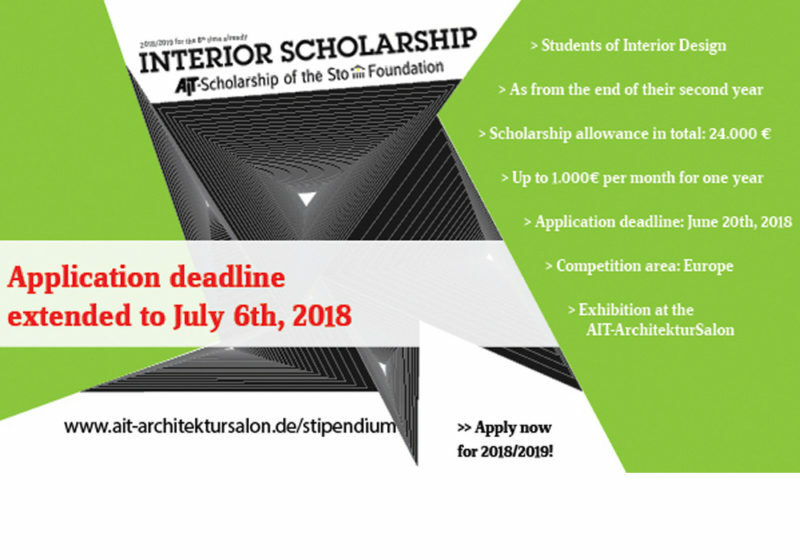 With the “Interior Scholarship” once again in 2018/2019 four Interior Design students will receive a monthly grant of up to 1,000 Euros for a period of one year (total subsidy: 24,000 Euros) to support their academic education. This Europe-wide initiative has been made possible by the financial support of the Sto-Foundation. Interested students as from the end of their second year, who are enrolled in a European University, are authorized to apply for the Interior Scholarship 2018/2019. Interior Design studies or comparable degree courses require plenty of time and cause considerable costs. Often it is hardly possible for the students to earn the required money parallel to their studies and consequently, they are rarely able to dedicate their undivided attention and energy to their education. Here, the scholarship wants to create scope and relieve the students economically. It is an important task of the Sto-Foundation to use financial means as an investment in the education and training of the young generation and thus in the future of our society. 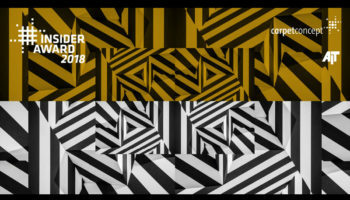 The foundation together with the trade journal AIT wants to support the great talent and exemplary commitment of the students to promote the development of renowned interior designers with a great interest in experimentation and secure the progress and variety of interior design. All students of Interior Architecture and comparable degree courses (Interior Design, Spatial Design etc.) enrolled at a European university and at least at the end of their second year are authorized to apply for the Interior Scholarship 2018/2019. Applicants must be enrolled at a European University for architecture minimum until June 2019 to participate for funding. In the case of two scholars the monthly grant will be 1,000 Euros for a one year funding. In the case of three scholars the monthly grant will be 670 Euros for a one year funding. In the case of four scholars the monthly grant will be 500 Euros for a one year funding. -Presence while an interview in September 2018 (travel costs will be reimbursed). -Four blog listings in 12 months (text, illustrations, images, etc.) 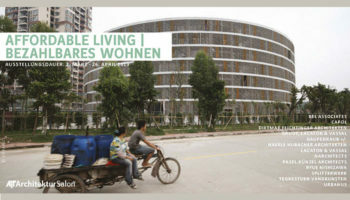 for publication on the websites of AIT-Architektursalon and Sto-Stiftung. 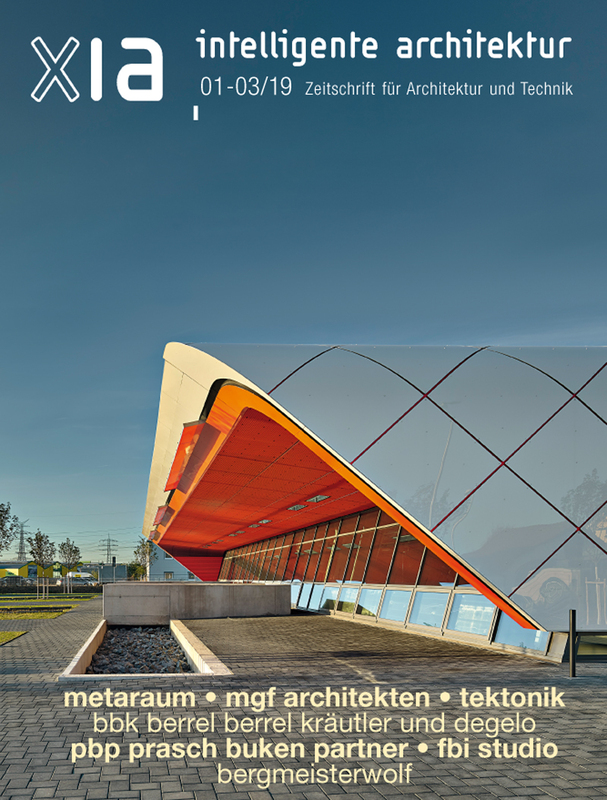 -Performance/staging/presentation exhibition at the AIT-Architektursalon (material and travel costs will be reimbursed). -Physical presence during the exhibition opening (dates will be aligned). A jury decides by the submitted documents upon the awarding of the scholarships. The Jury shall meet non-public and decide with simple majority. The jury will substantiate her decision in a simple vote. The jury`s decision shall be final and not contestable. We permanently move between changing places, between contrasting positions and contradictory concepts. The SPACE BETWEEN can become a protected space, a place of personal freedom or a place of limitation. The SPACE BETWEEN can be a separating or connecting, a permanent or temporary, a voluntary or forced „social“ space between that is „not yet“ or „no longer“ used. 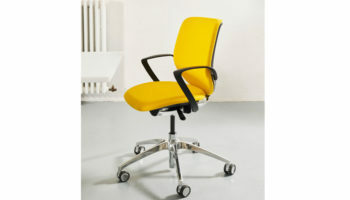 This space between can be chosen fictitiously, in urban or rural living environments. In the context of its genius loci, an expressive concept should give the chosen SPACE BETWEEN a function and an attitude, for example: Is this a place of staying, refuge, interaction, connection and networking, of integration or isolation, etc.? The personal idea is to be illustrated in the form of individually selected, concept-supporting presentation techniques, such as visualizations, model photos, collages, drawings, sketches, etc. Portfolio DIN A3, landscape format, 12 pages max. minimum 1 maximum 3 student designs and if neccessary design works exclusive from school/university, as well as maximum 2 pages for the fulfillment of the imporomptu task. From the applicated documents only one project can be part of a group work. Please lable this project appropriate. Also an appropriate certification for the personal proportion within the group project needs to be required. Please abstain from submitting additional documents not listed here. Exclusively PDF files will be accepted. Please pay attention that the resolution (dpi) of the files is suitable for DIN A3 printout. All submissions may be in German or in English. stipendium@ait-architektursalon.de or via wetransfer.com. Date of receipt will be date of inbox. 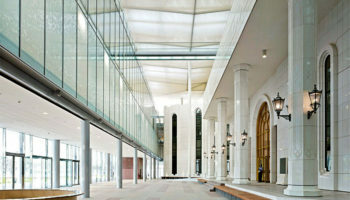 All works will pass to the ownership of the AIT-ArchitekturSalon. Since it’s founding in 2005 the Sto-Foundation gets involved in the professional training of young painter and plasterer as well as in academic education of future architects. Each year 350.000 Euros can be invest in projects, that wouldn’t be possible unsupported. Thereby Sto-Foundation supports interdisciplinary and boundless. Considering global climate change and comprehensive demographic change Sto-Foundation prepares talented students for their future responsibilities. Events, publications, lecture series and summer schools are being supported. Classic event forms, such as the annual “November Reihe” in Stuttgart are funded, as well as competitions for suitable forms of education, practical seminars, workshops or summer- Universities. Furthermore individual projects can be supported through scholars. Grant applications to the Sto-Foundation are possible anytime.